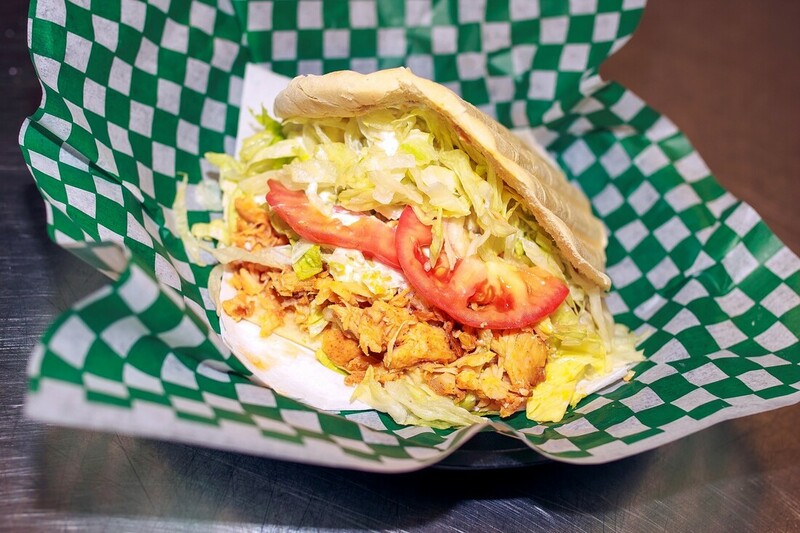 Our mouth watering steak, chicken or spicy pork served on our homemade pita bun, topped with lettuce, tomato, onion and our special Doener sauce. Your choice of chicken or steak served on a crepe topped off with lettuce, tomato, crispy onions, olives, banana peppers and our Doener sauce. A unique german noodle blended together with our homemade chicken and mushroom sauce. Top quality egg noodles paired with our house meat sauce topped off with parmesan cheese and garlic toast. German schnitzel topped with a fresh mushroom sauce and served with fries. Crispy Schnitzel in our homemade bun filled with lettuce and mayo. Bratwurst covered in curry ketchup and served with fries. Crispy fries with seasoned chicken or gyro meat topped with cheese curds, gravy and our Doener sauce. Plank cut and served with chipotle mayo dipping sauce. Romain lettuce, croutons covered in caesar dressing topped off with parmesan cheese. All our soups are made fresh in-house and served daily: Cabbage Borscht (GS), Chicken Noodle, Cheese Soup (GS), and our new Gyro Soup! Try our crepes with a scoop of french vanilla ice cream for only 1.50, you won't regret it! ​We now have new savory crepes on the menu and they are amazing. Desserts are one aspect that make us stand out! Each day our display is filled with an assortment of german desserts. All of our desserts are made and baked in house daily. Whole cakes and desserts can be made specially upon request. Just give us a call!